This mat is great for school-age activities, shielding from non-hygienic surfaces, or serving as a gentle, soft place for just play. 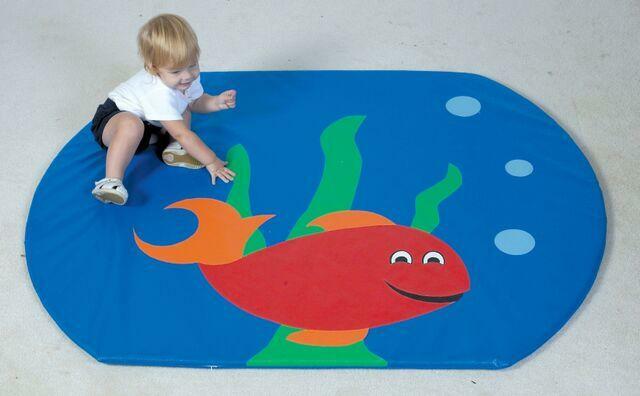 Let little ones swimmingly experience play. Easy wipe cleanMade of 1" thick vinyl foamThis is a heavy or oversized item and requires additional shipping. Dimensions: 60" x 48" x 1"